Wow!!! Very nice! Are you happy with everything? What color is that? lookin good. Where did you get your seat done? 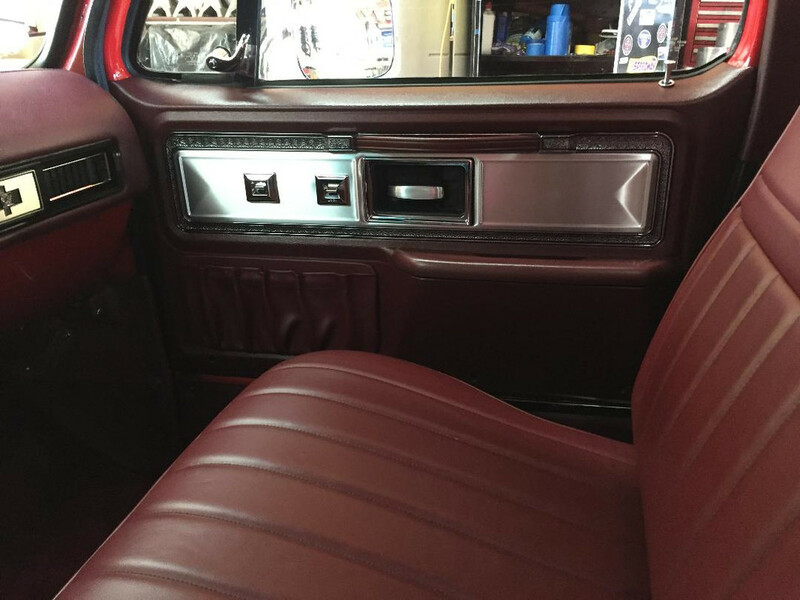 The center console/armrest looks good. I was just looking over the USA1 panels yesterday for my Black '74 build. 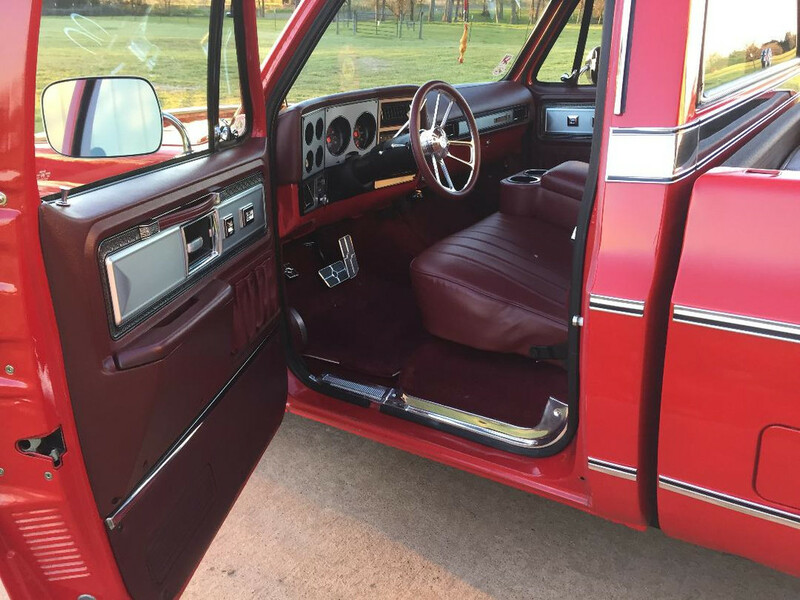 The exhaust and interior is all that's technically left, but the door panels were pretty pricey and I wasn't sure of the quality vs. having the upholstery guy do a set. Are you pleased with the quality for the price? "Life is tough - wear a cup!" "Old Enough to Know Better - Too Young to Resist"
"Junk is something you will need three weeks after you throw it away." I just noticed that you don’t have your hinge garnishes on your seat. Is there a reason why? Yeah I don't have any..lol you have a set you want to sell? I can do that. Let me see if I have a nice used set. I can even freshen them up, I have some SEM Burgandy. If I don’t have a nice set, I can probably do a New Set, if I have enough dye. Good looking interior. its the same color as mine. I've been wondering what it would look like freshened up. How do you like the kick panel speakers? Did you get the hinge garnishes yet? Yes...... I meant to send you a message dyed and installed finished the interior out they look great thanks!!!! I like it all but am really interested in your sound system set up. What are you running? Wow, that looks amazing!!! USA1 is the only company I trust with aftermarket. Looks great! 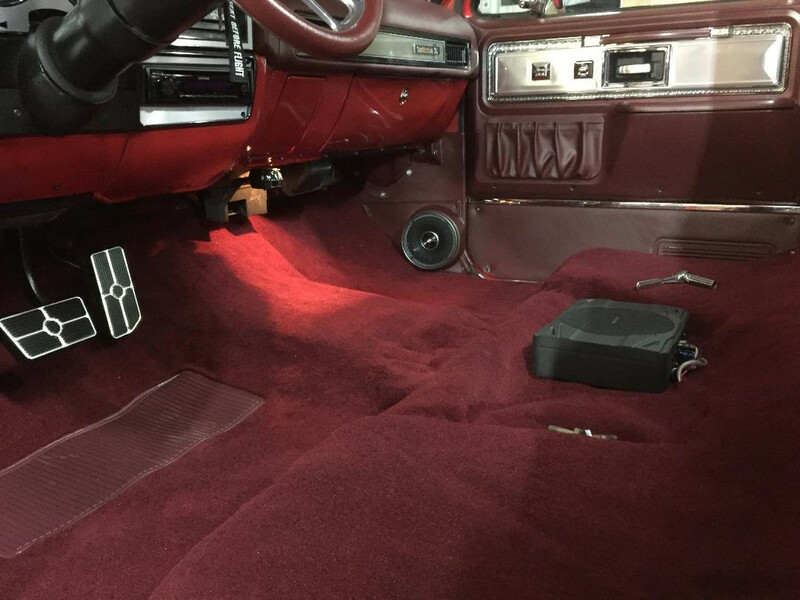 Did you use usa1 speakers in the kick panels or other aftermarket? Do you know how deep of speakers they will accommodate? 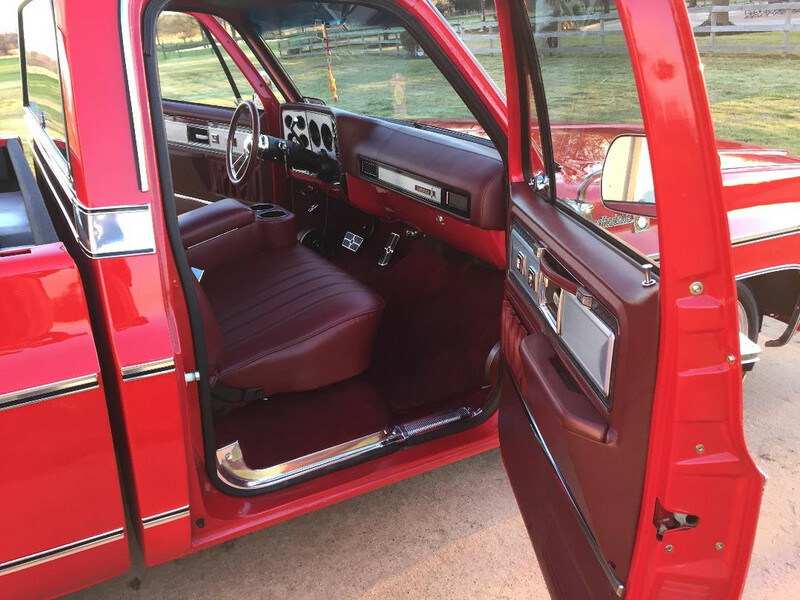 jkk, where did you get the door panel pulls from? 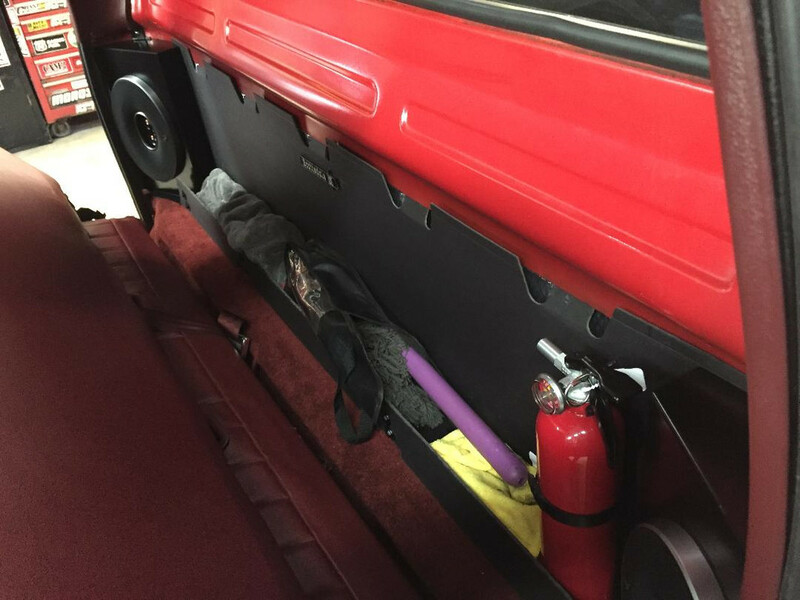 Nice looking truck where did you get the organizer/tray behind the seat? The trays, you can get from USA1 also. I put speaker carpet on mine, to help it hold up over time. The cardboard can start to wear over time, and then start breaking down, like they did when they originally in the trucks. Here's a pic of mine.